So easy to put together and just like from Olive Garden.Try this when you have restaurant food cravings! I wanted to make it with some shredded Chicken in it but was running short on boneless chicken to incorporate , so I made a Vegetarian one. 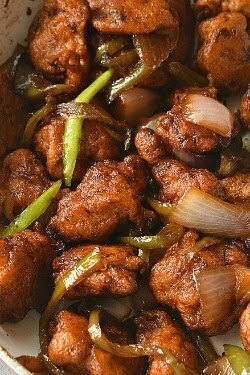 Those of you who want to try the Chicken version can use Chicken or any other meat of your choice, I think this dish will even taste awesome with Clams/Mussels or Shrimps. I made this on lazy Sunday afternoon for lunch and it took hardly 30 mins to fix lunch for me. So may be if someone wants to try it on a weeknight as well,it will be so amazing and so good to have dinner fixed so fast. If you are a Olive Garden menu fan then try this awesome recipe in just few basic steps and you will save so much on eating out plus homemade food means you can make lots and go for seconds and thirds. You can have this Fettuccine Alfredo with another famous Olive Garden Copycat recipe of Chicken Gnocchi Soup! Are you craving for it already? 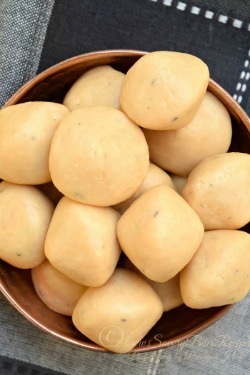 Here I have used homemade Potato Gnocchi. How to make Easy Alfredo Sauce? 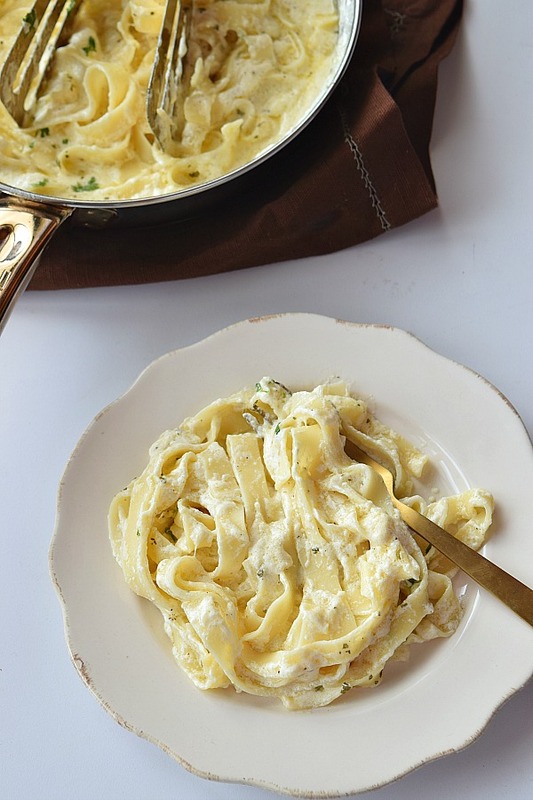 The Alfredo sauce is very easy to make and so creamy good.All you need to do is mix up butter,cream,cream cheese,garlic,milk and Parmesan to make this creamy sauce. No more need to buy those BIG jars of sauce. Firstly you need to cook the pasta as per package instructions. Drain the pasta with few drops of Olive Oil and keep aside to use later. Next in the pan add the butter, and when it melts add garlic. Toss it for some time but do not burn it as the sauce will turn bitter. Next add the cream cheese,cream,milk,parmesan,pepper powder and parsley. Stir continuously to make sure the sauce is evenly mixed with no lumps. Throughout keep the sauce on low heat or else the cream and milk will curdle. Finally switch off the heat and mix the pasta. Stir immediately and serve when its hot with grated parmesan on top. What are the alternatives for ingredients to make this dish Skinny and Vegan? Add low-fat Milk instead of whole Milk. Instead of butter,use a combination of olive oil and butter. To make the pasta creamier,instead of cream you can also use coconut milk. To make it vegan then skip butter-add olive oil.Also skip cream,cream cheese and milk and instead you can use coconut milk and flour. This will give creamy texture to the dish. Also to make it vegan,use cashew powder or use raw cashews,roast them and powder and mix this powder with water to make as a cream substitute. Cauliflower pureed to a smooth flowing saucy texture will make a very good substitute for cream and cheese too. Fettuccine: As the name suggests the primary pasta used in this recipe is Fettuccine but you are not having this pasta then you can still use any pasta of your choice it wont matter. The sauce is the important thing here. 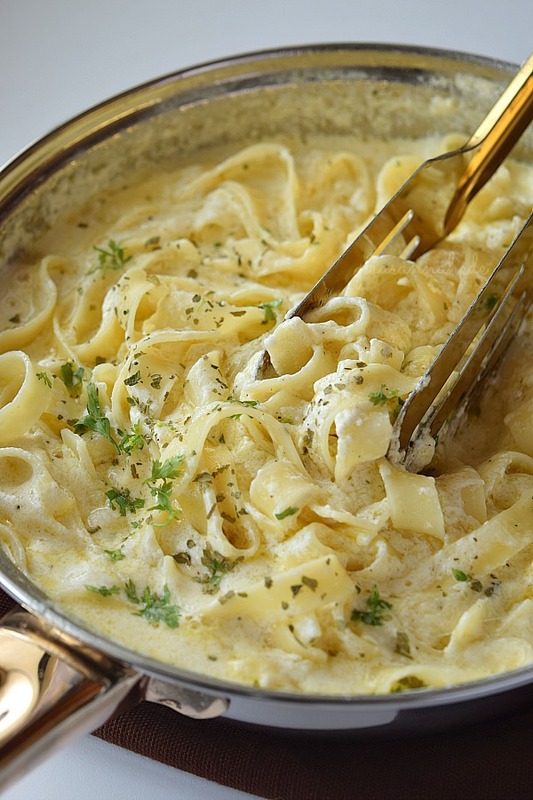 Parmesan: Most important ingredient in Alfredo sauce is Parmesan. 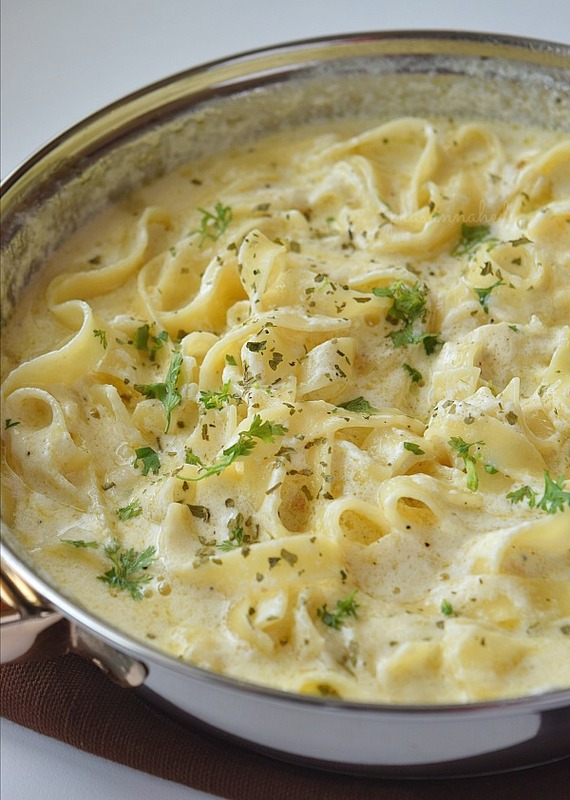 This cheese gives the entire flavor this Alfredo sauce requires to have. Cream Cheese/ Cream/ Milk: I have used cream cheese,cream and milk combination to make this Alfredo sauce more creamier and delicious along with Parmesan. If you are looking for vegan/skinny Alfredo versions then I have already mentioned information. 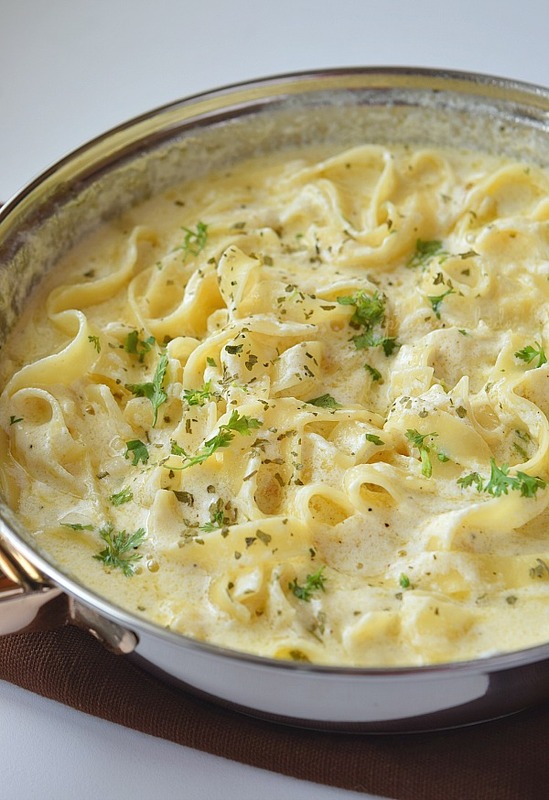 Creamy Alfredo,just like from Olive Garden! Cook fettuccine as per package instructions. Keep this aside,tossed with few drops of oil. In a pan,add butter,when it melts on medium heat. Add garlic grated and saute for few seconds. Add cream cheese,milk,garlic powder,pepper powder,parsley,salt and Parmesan. Keep this on medium on low flame and keep whisking it with a egg whisk till fully incorporated and not with lumps. Make sure the sauce is smooth and creamy. Throughout keep the sauce on low flame possibly. Switch off the flame and add the pasta, toss well. The longer you leave it, the sauce will get cold and solidify so serve it hot and immediately after cooking. If you want the pasta to be more saucy then increase the quantity of milk and cream but adjust the spices accordingly. 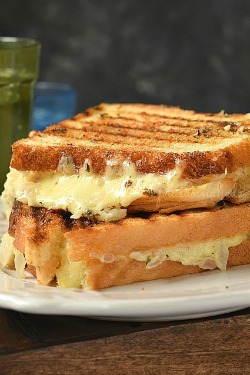 Always cook sauce on low heat to make sure the cheese,cream cheese,cream and milk gets mixed well and without lumps. 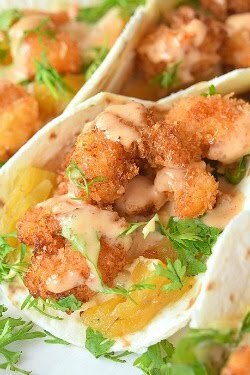 Well written awesome recipe. Seems delicious. Will cook soon.